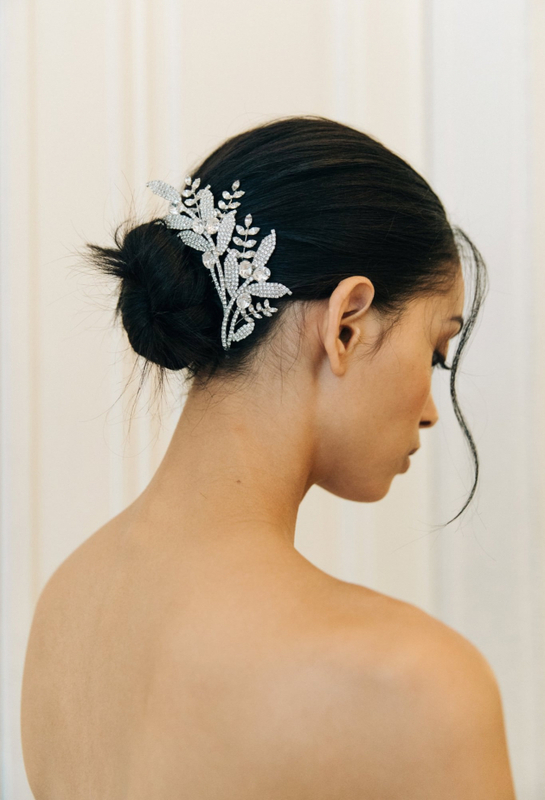 We have sourced a large but tightly edited selection of beautiful Designer Accessories to compliment whatever you will be wearing on your wedding day. 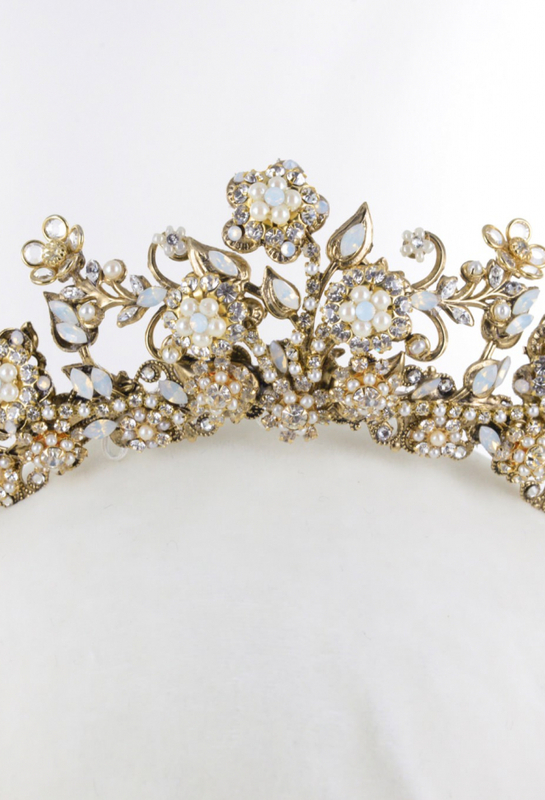 Unique accessories crafted with care always withstand the test of time becoming even more precious as they turn into tomorrow’s heirloom’s that you will want to treasure and pass on down the generations. You do not need an appointment to come into our store to try our accessories as well as our strong selection of veils and other items not shown here on our website. 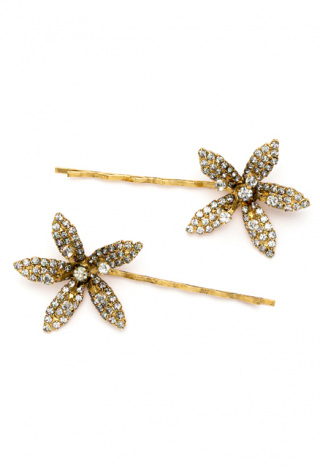 Many pieces are one of a kind, unique, like our clientele! 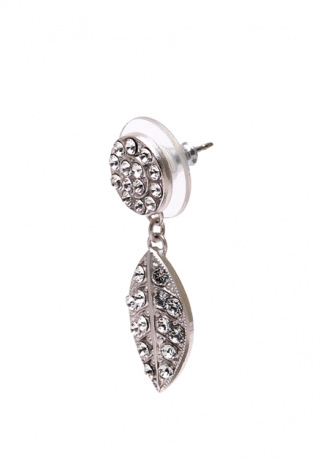 Crystal petal drop earrings. 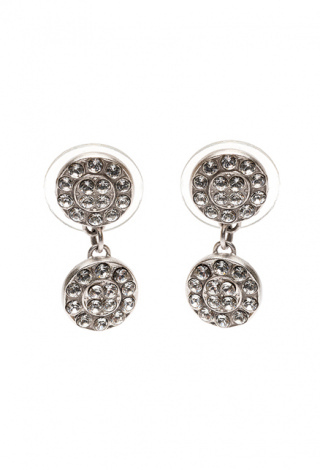 The style range of accessories from PARIS by Debra Moreland is designed to appeal to women who desire accessories that are both classic and modern. 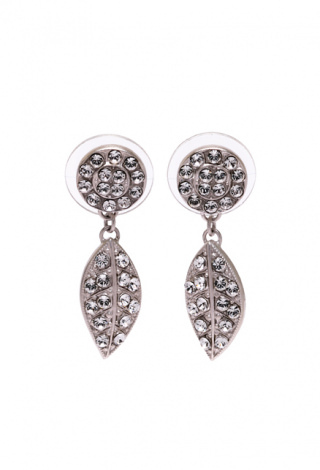 The understated beauty allows a woman’s personal style to emerge and balance her ensemble. 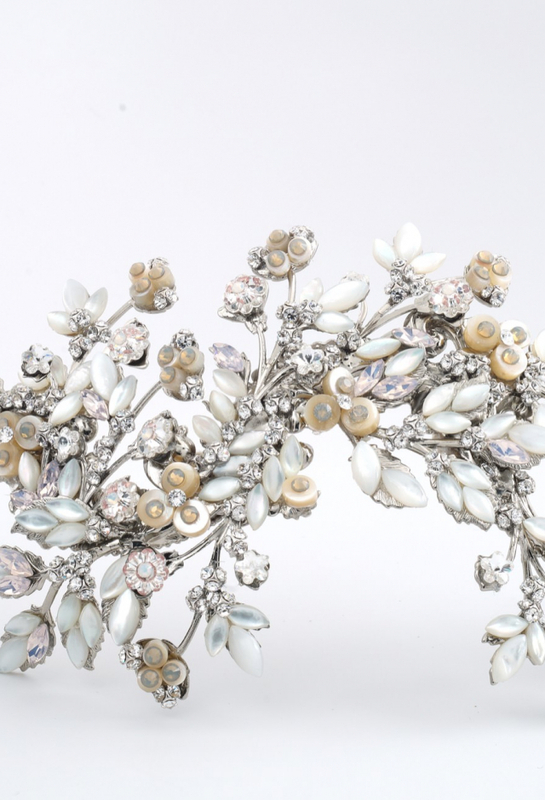 Debra is the Six-time winner of the Couture Bridal Awards and preferred accessory designer to dress designers. 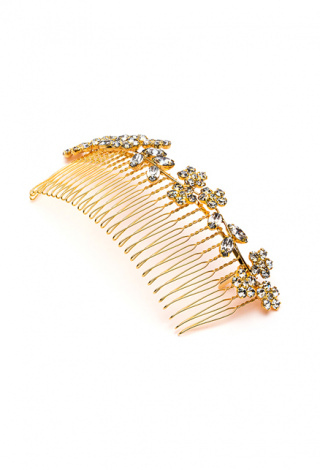 A beautifully elegant fern leaf comb. 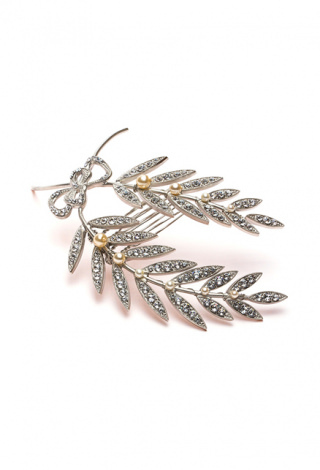 Exquisitely crafted, each set of leaves is adorned with Swarovski crystals and soldered onto a rhodium plated branch. 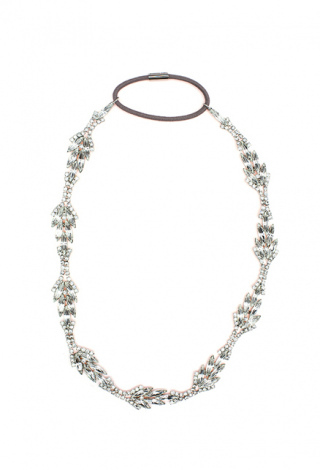 The branches are accented with hand wire wrapped ivory pearled beads. 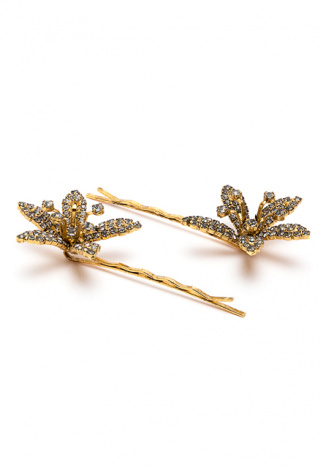 The intersection of the two ferm leaves is adorned with a double bow detail encrusted with crystals. 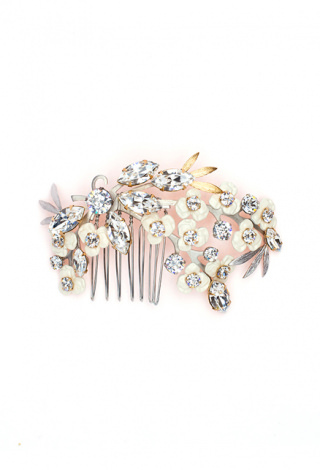 A hand crafted hair comb featuring a deometric pattern of Swarovski crystals arranged in an XOX design and separated by small white pearled beads. 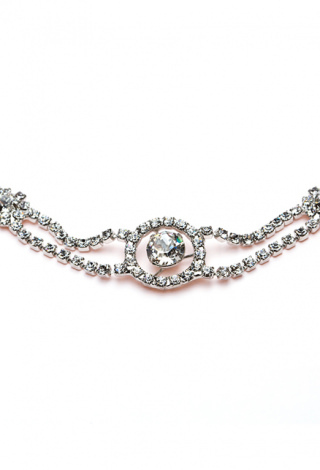 Each crystal is hand set on the rhodium plated headband. The comb is held in place by a hair comb. 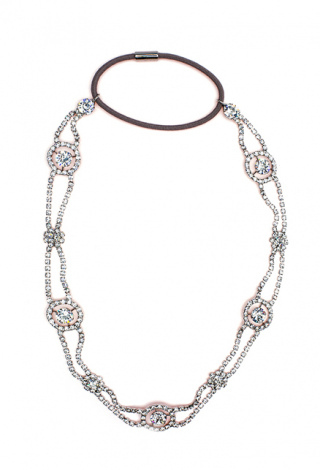 An Art Deco take on the classic crystal head wrap, this piece is perfect for fans of The Great Gatsby flair. 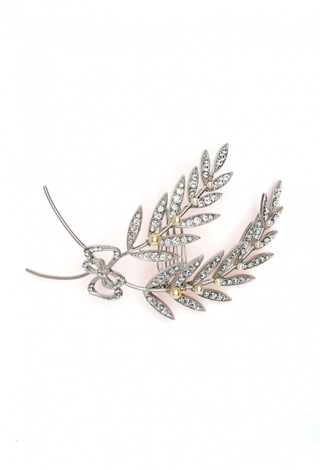 Made of Swarovski crystals, this diamond shaped leaves head wrap is finished with elastic at the back for comfort and flexibility. 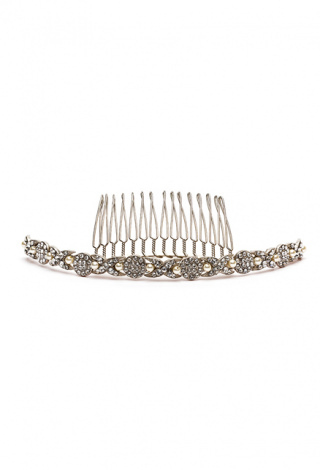 All Jennifer Behr hair accessories and headbands are handmade in New York City. 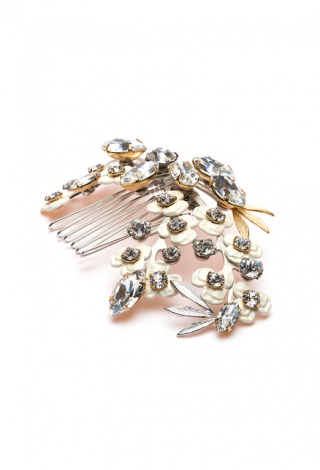 Swarovski crystal bobby pin. 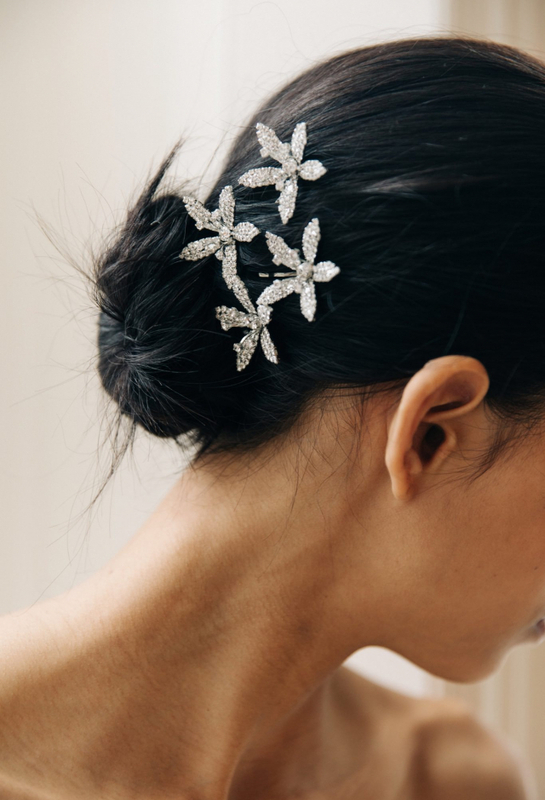 A chic alternative to fresh flowers, these crystal hairpins will last forever. 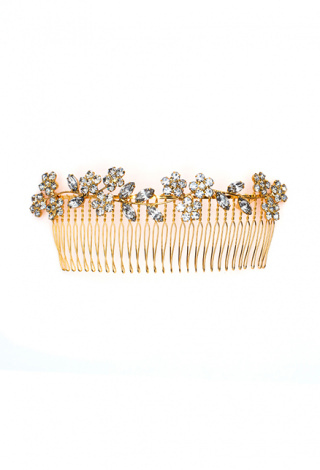 All Jennifer Behr hair accessories and headbands are handmade in New York City. 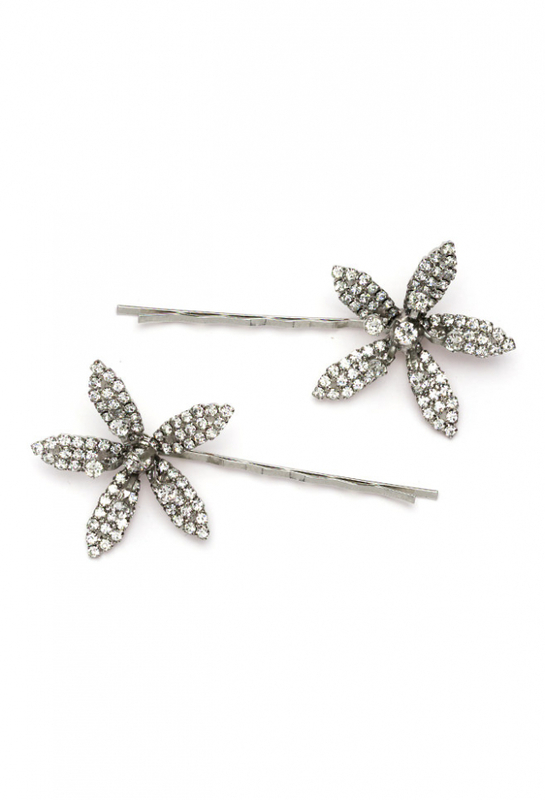 Swarovski crystal bobby pin set of 2. Crystal orchids measure 1 ¼ inch by 1 ¼ inch. 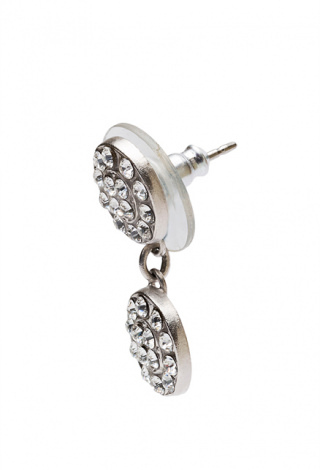 Available in crystal, crystal antique gold and crystal gunmetal. 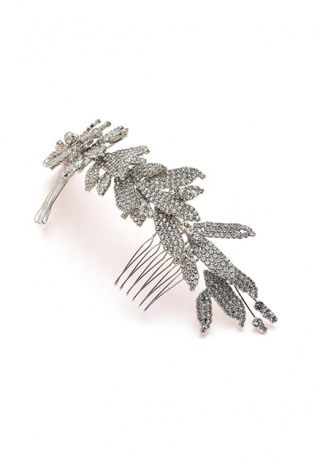 Jennifer Behr introduced her namesake collection of distinctive, luxury hair accessories in 2005. 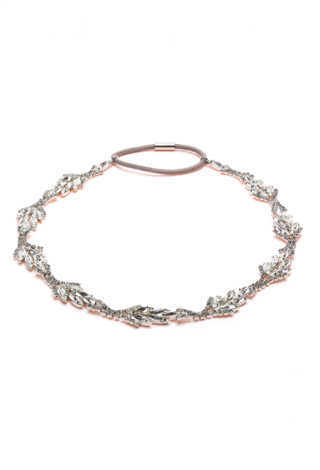 Since then, the collection has grown to include a range of seductive headpieces, jewelry and belts. 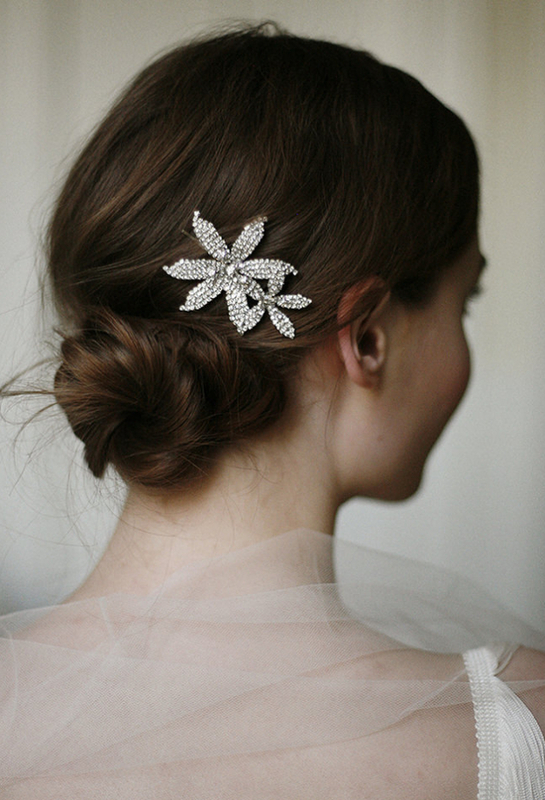 Swarovski crystal leaves and flowers create this beautiful and delicate bridal comb. 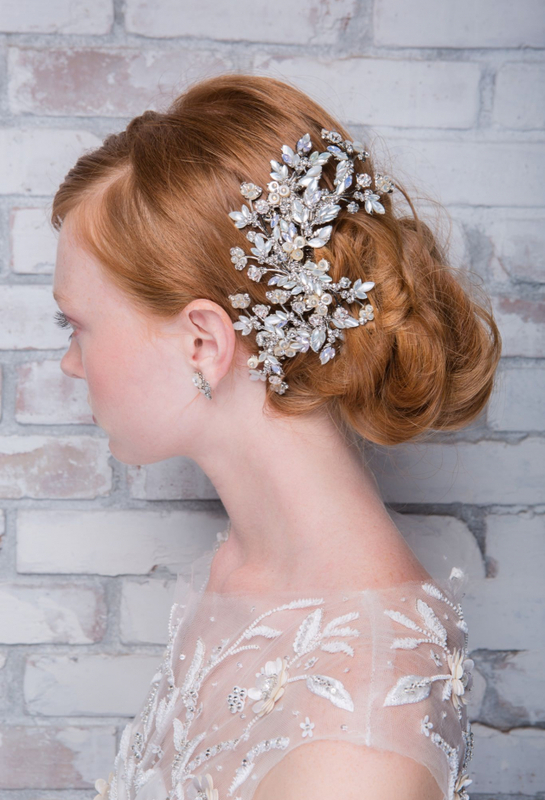 Wear with a veil or alone in the hair for a gorgeous wedding day look. 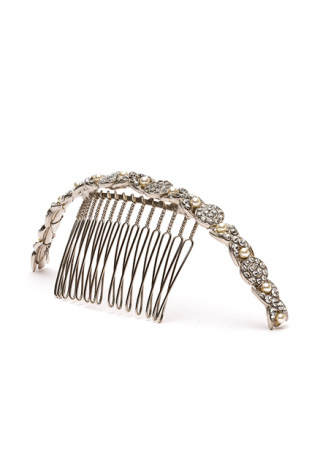 Can be worn in a low chignon, top know, braid, or to sweep hair back from the face. 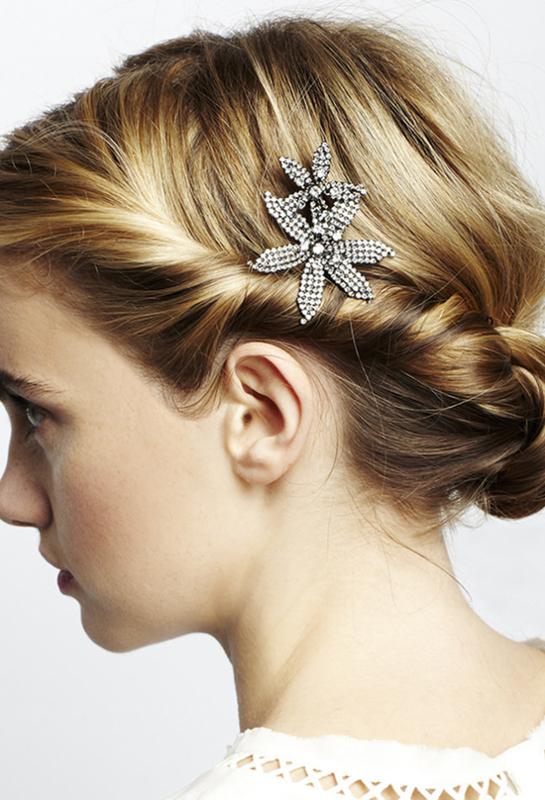 All Jennifer Behr hair accessories and headbands are handmade in New York City.